Caption slip reads: "Photographer: Olmo. Date: 1952-04-08. Reporter: Petty. Assignment: Chihuahua litter. 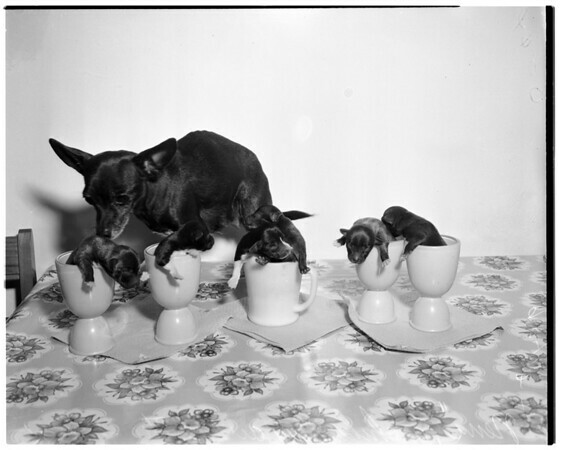 41-42-43-44: Six puppies in cups. They belong to Mrs. John L. Goad, 9521 Maplewood Avenue, Bellflower. Mother Chihuahua is named Nena. All are thorobreds [sic]".